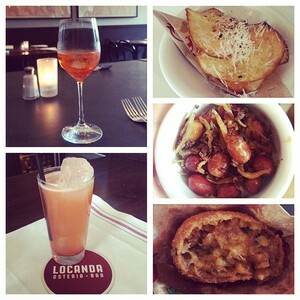 Some of the aperitivo delights that await you at Locanda! Photo via @tablehopper on Instagram. The next time you’re wondering where to unwind at the end of the workday, or even on the weekend, you’ll want to check out ~LOCANDA~’s aperitivo hour, which is offered daily 5:30pm-7pm (so yeah, that’s actually 90 minutes!). Come by the bar area, and you’ll be able to partake in a classic Italian tradition, which means light cocktails with free bar snacks. You can order a variety of cocktails, like an Aperol Spritz, a Negroni, and their concoction, Church (Aperol, gin, Cocchi Americano, lemon), all for $8. There are also a variety of wines for $6 and a couple of beers for $4. The best part is the complimentary snacks, like their oxtail supplì, “cacio e pepe” kettle chips, deviled eggs, and don’t miss the roasted peanuts with dried anchovies. Down the street, news broke that ~AMNESIA~ will be getting new owners. After 15 years, Shawn Magee is moving on from his little soulful and jazzy and funky oasis, selling it to the owners of SoMa’s City Beer Store, plus two more partners. Magee’s heartfelt note on Facebook, which you really should read because it’s as charming as hell, mentions he will be doing some farewell shows and is happy the bar is going to be passed on to some very capable hands. Thanks for all the fun nights of music! 853 Valencia St. at 20th St., 415-970-0012.